Studies in animals have confirmed the carcinogenic effects of this chemical compound, which forms during the heating process of certain foods at temperatures higher than 248°F. It is found in commonly consumed products, such as French fries, coffee, and baby cereals. 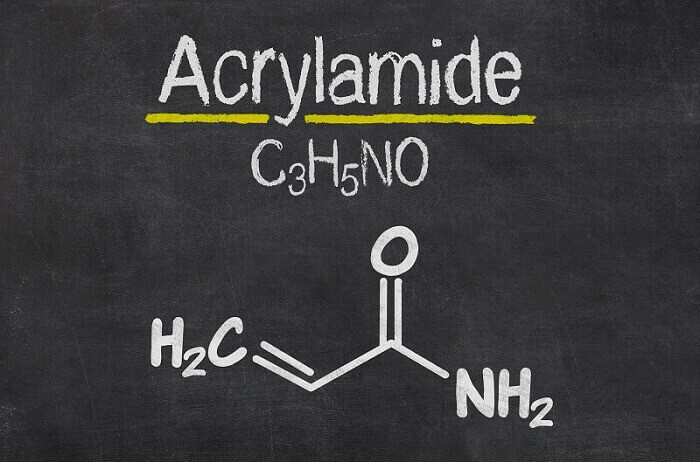 Labels do not state acrylamide concentrations. Nonetheless, both industry and consumers ought to consider taking certain precautions, including, for example, those set forth in the corresponding European Commission regulation. Little was known about the effects of acrylamide until 2002, when the University of Stockholm observed large blood concentrations in a population group and found that it was due to their diet, since they were not exposed to chemicals. Studies have confirmed the suspicions regarding the carcinogenic effects of this compound, and food security agencies such as the European Food Safety Authority (EFSA) and the U.S. Food and Drug Administration (FDA) have started to issue alerts against consuming it in excess. The European Commission calls for potato chips to have no more than 750 micrograms of acrylamide per kilo of product, 500 micrograms in the case of precooked potatoes, 300 in breakfast cereals made of wheat, rye, and bran, 400 in crackers, 400 in roast coffee and 800 in instant coffee. Acrylamide occurs naturally in foods rich in carbohydrates, such as potatoes or bread when they are subject to temperatures higher than 248°F and low humidity in the usual cooking process. It can occur when these foods are fried, baked, or toasted. The principal chemical process is called the Maillard reaction and involves asparagine, which is an amino acid, and reducing sugars. The consequence is the typical browning and change in the foods’ flavor. This is seen in all foods, but those rich in starch reach the highest levels when fried or toasted. This happens with coffee during its roasting, whether naturally or using the roasted process. That is why the regulation places special emphasis on fried potatoes, bread in all its forms, crackers, biscuits, coffee, and their substitutes. What processed foods have Acrylamide? Although the presence of acrylamide in these foods is low, it is found in much higher doses in tobacco, and also results from industrial processes in the production of plastics, ink, and in the paper industry. Society has to adapt to living with components such as acrylamide. It is not possible to eliminate these components 100%, so the key is to maintain a healthy, varied diet, where in addition to tempting fried potatoes, rolls, and coffee, one’s diet is balanced with other products such as fruits, vegetables, and fresh produce, as well as dried fruits and eggs. Acrylamide is included on the Prop 65 list of chemicals that California recognizes as causing cancer or reproductive toxicity (such as birth defects and other reproductive harm). It was added to the Prop 65 list in 1990 because studies showed it to produce cancer in laboratory rats and mice. In February 2011, acrylamide was added to the Prop 65 list as causing reproductive and development effects because, in studies of laboratory animals, acrylamide affected the growth of offspring exposed in the womb and caused genetic damage, resulting in the death of mouse and rat embryos. The U.S. Food and Drug Administration (FDA) and other scientific and health organizations continue studying the health effects of acrylamide in food. The FDA has not advised people at this time to stop eating products that contain acrylamide but does advise people to stop smoking. AGQ Labs can test the levels of Acrylamide in your food. Please visit our website for more information.